Does your commercial roof look like the one in this photograph? If so, you’re probably thinking about whether it needs to be replaced. When you do decide to make that move, you want to make sure it will last for years to come. Make the most of your investment by choosing a durable solution that uses superior materials. Champion Services Roof Rescue can give you both through our South Carolina liquid roofing solutions, including Instacoat and GacoFlex. Weather is one of the biggest causes of damage to roofs. Storms, especially those in the spring and summer, bring hailstorms, heavy downpours, and strong winds. If you choose roofing that can’t stand up to the elements, you may wind up making repairs on a regular basis. Looking further into the future, you may have to replace your roof more frequently. When you consider the size of most commercial roofing projects—and the associated costs—your goal should be to replace your roof as infrequently as possible. Liquid roofing gives you that luxury. Liquid roofing is also able to withstand the harsh rays of the sun. There’s no escaping the sunlight when you have a flat roof. If your roofing materials can’t take it, they’ll fade, become brittle, and start to peel or chip away. That exposes your roof to whatever falls from the sky, increasing the chances that you’ll have leaks and interior damage to your building. Heat and changing weather conditions also cause your roof to expand and contract. If this happens enough, your roofing materials will start to break down, threatening the integrity of your structure. Liquid roofing gives you a consistent finish due to the way it’s applied and the products that make up the coating. When you put it all together, it’s easy to see how liquid roofing will save you money. It’s waterproof, easy to install, durable, and can be used for many different types of applications. Most importantly, it will help your roof last longer so you won’t have to pay for roof repair and roof replacement nearly as often. 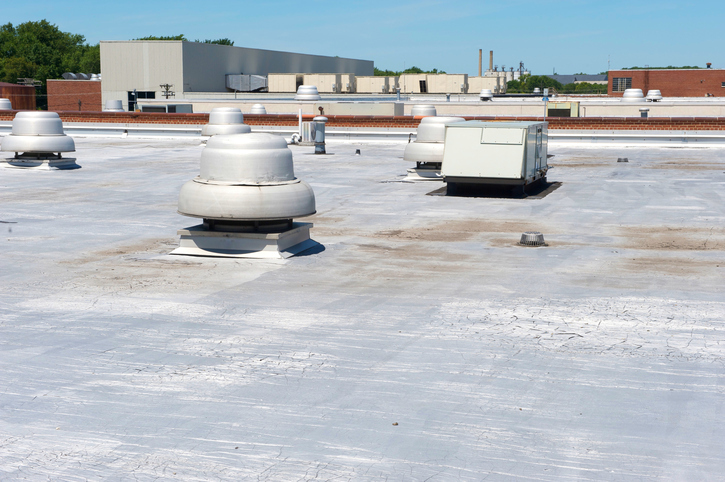 To learn more about whether commercial liquid roofing is a good choice for your business, call Champion Services Roof Rescue. We serve the Rock Hill, Fort Mill, Lancaster, Chester, and Myrtle Beach areas of South Carolina. Request a quote today!